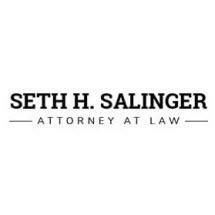 Since 1996, Attorney Seth H. Salinger has been representing individuals and business in a wide variety of civil matters, including Business and IP Litigation, Business Formation, Transactions and Contracts, Intellectual Property, Entertainment Law, Construction Law, Employment Law, Consumer Protection, Asset Recovery. The firm is engaged in all facets of civil litigation, including trials, appeals, and structured settlements. The firm’s clients include individuals and businesses, as well as other lawyers throughout Massachusetts, as well as from numerous other states, including California, Texas, Florida, Colorado, Kentucky, New York, Utah, New Hampshire and Rhode Island, as well as numerous foreign countries, including Greece, Cyprus, Canada, the U.K., Israel, and the U.A.E.